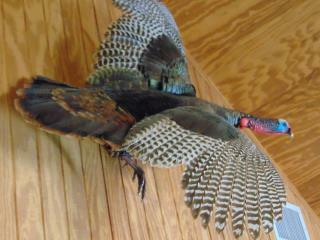 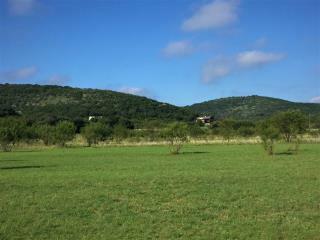 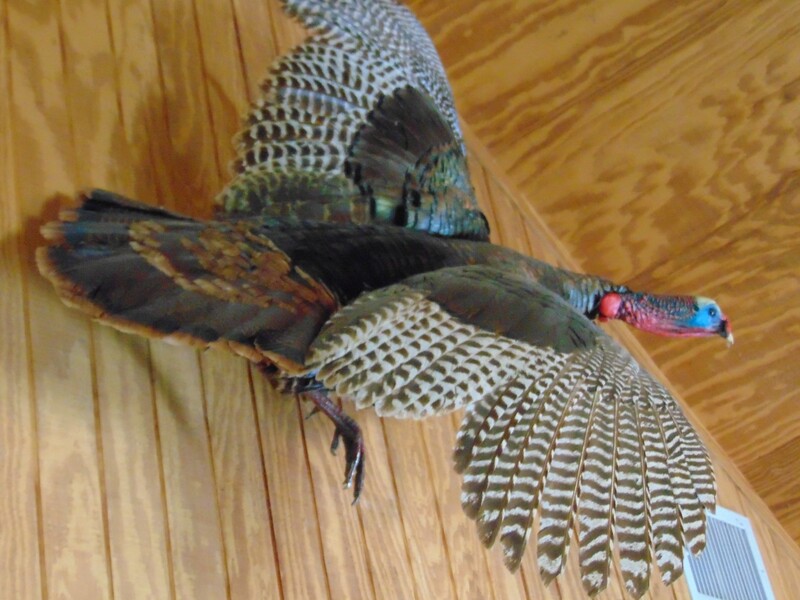 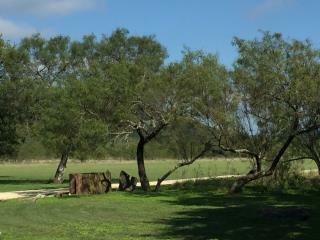 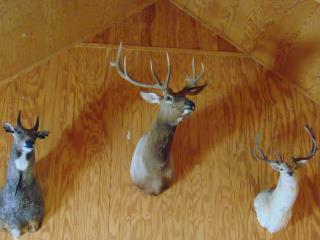 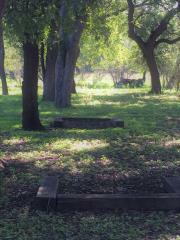 One of the very best features of Pecan Acres is the superb location. 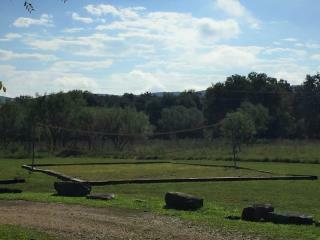 First, cross over Comanche Crossing bridge and drive over the Frio River to start the fun. This large scale acreage sits WAY back from the country road and below Cat Claw Mountain and cliffs for spectacular views! 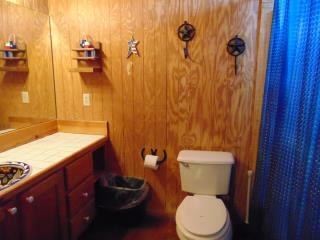 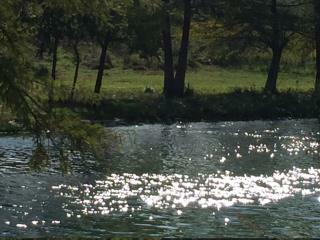 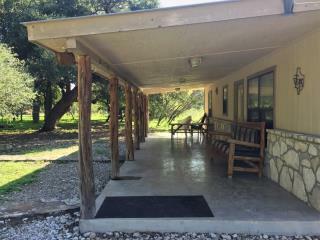 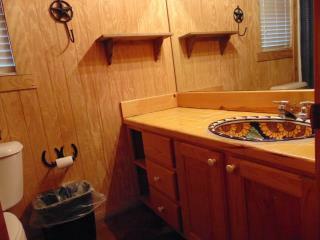 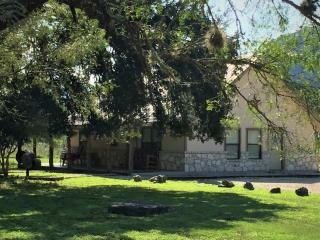 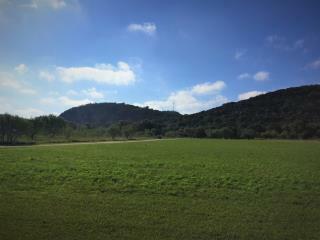 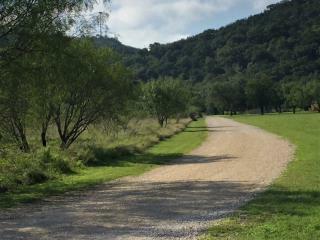 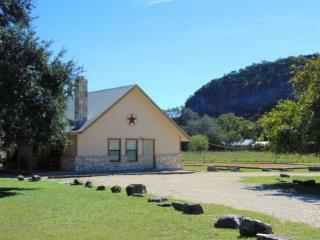 Best of all is the private, gated Frio River access!! 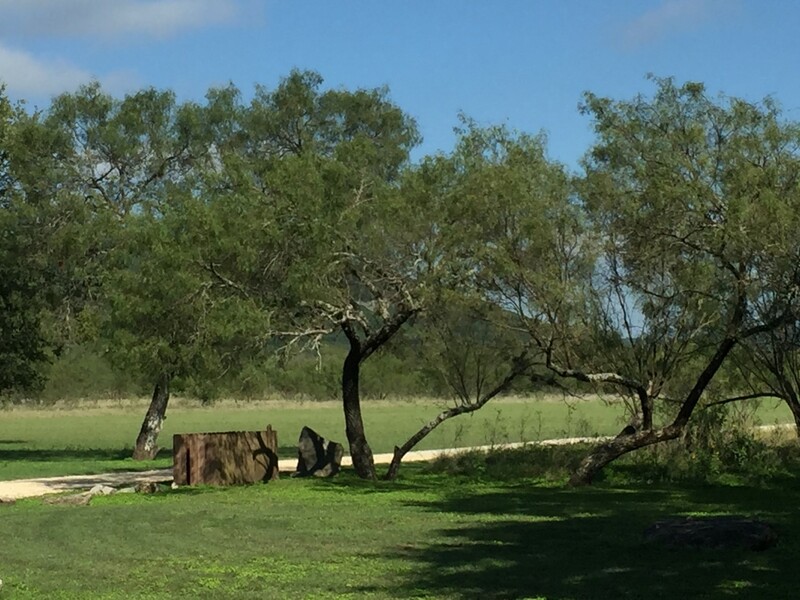 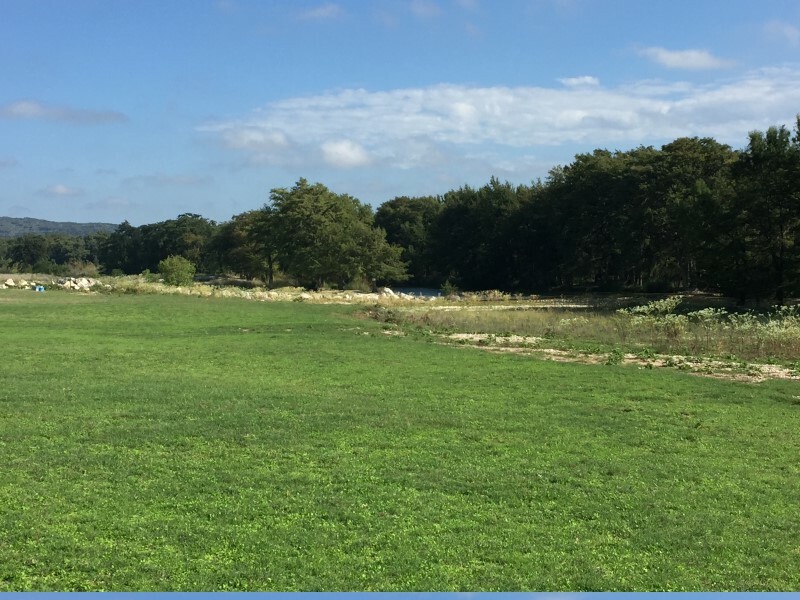 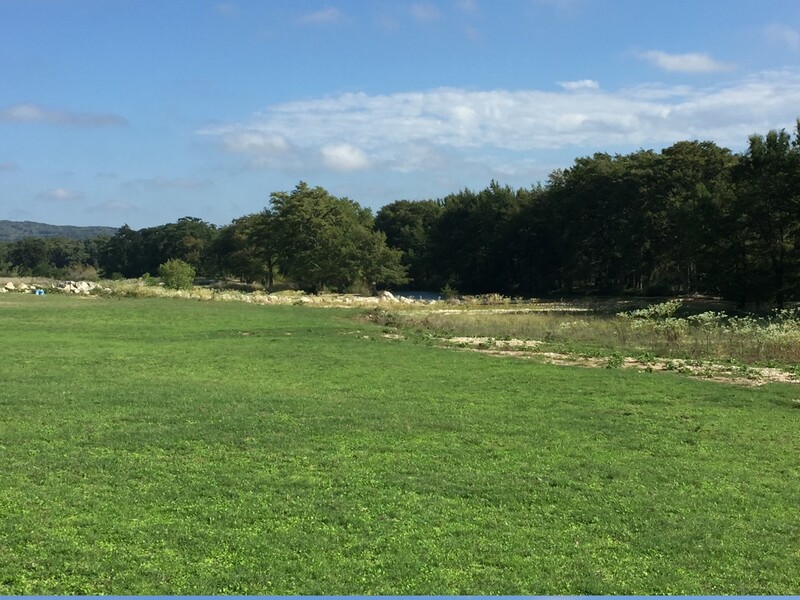 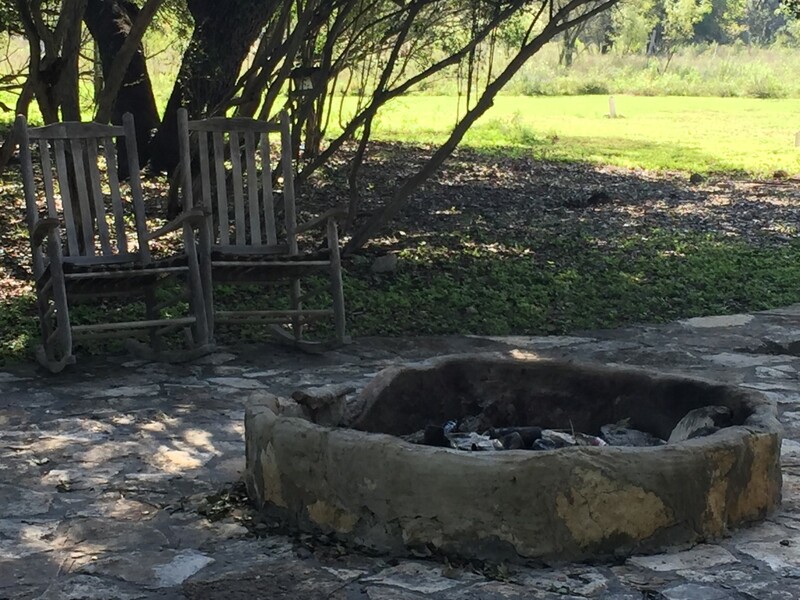 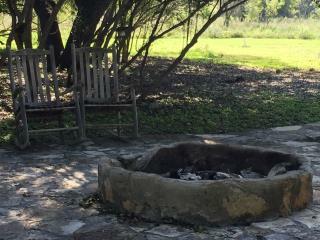 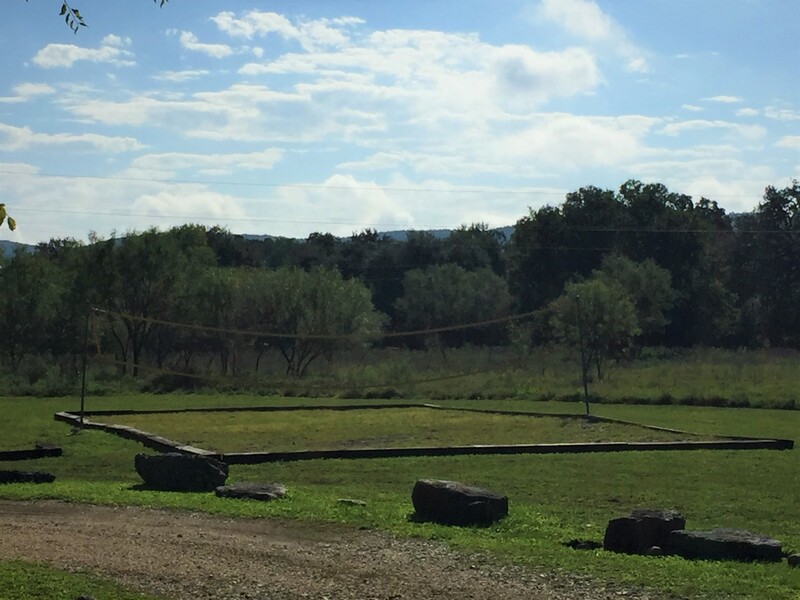 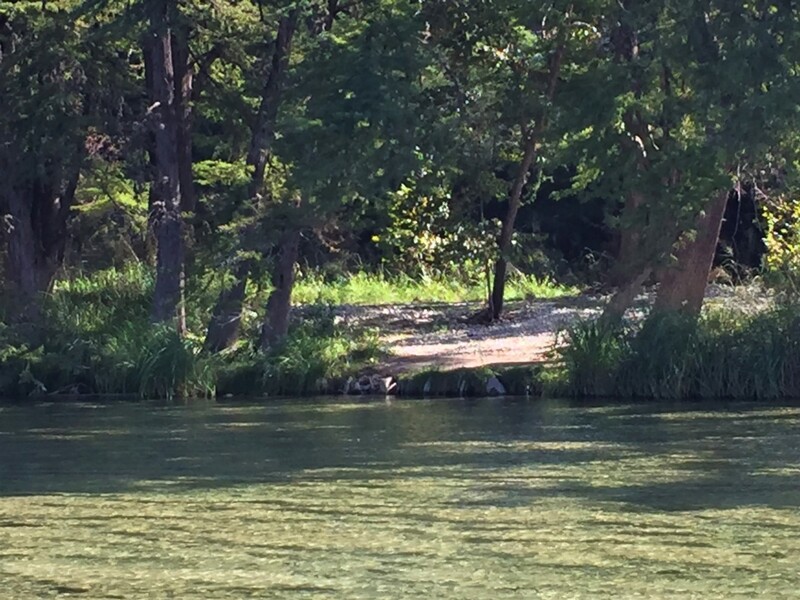 Less than a 2 minute drive from the property, guests have access to one of the prettiest parts of the Frio River that allows you to really enjoy the water. 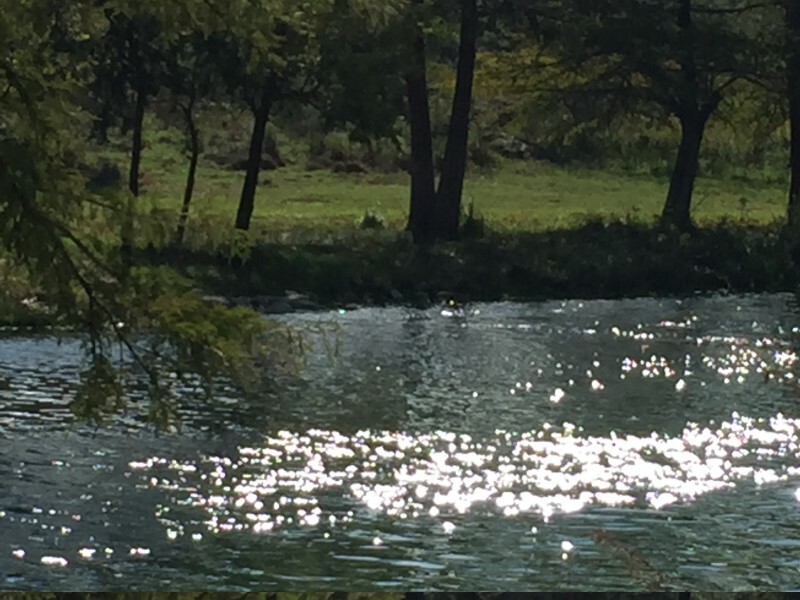 As you cross over and through the river into Comanche Crossing you immediately feel that you have entered into a very special place – and you have. Only a handful of rental properties are in this small neighborhood, which is hugely popular with families from all over Texas. What makes this area so intriguing is the area is flanked by the river on one side and a majestic mountain range on the other so no matter where you look your views are inspirational and breath taking. 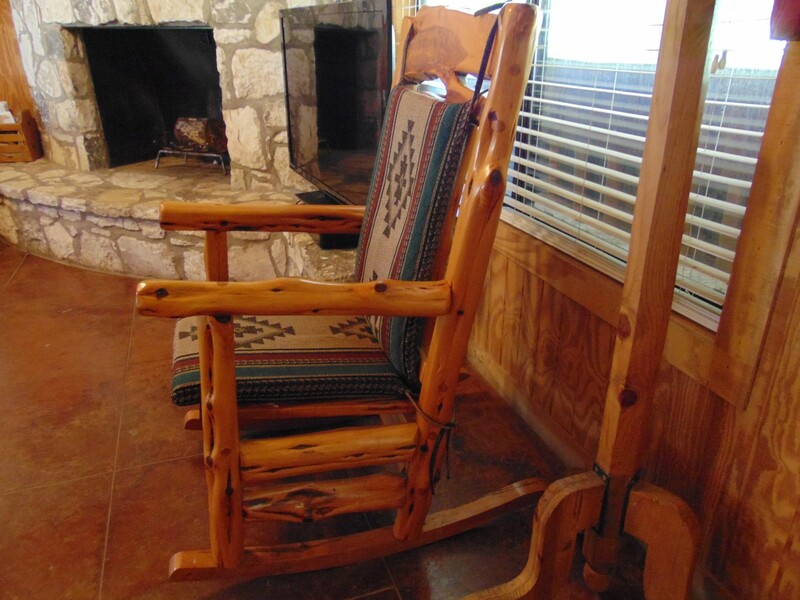 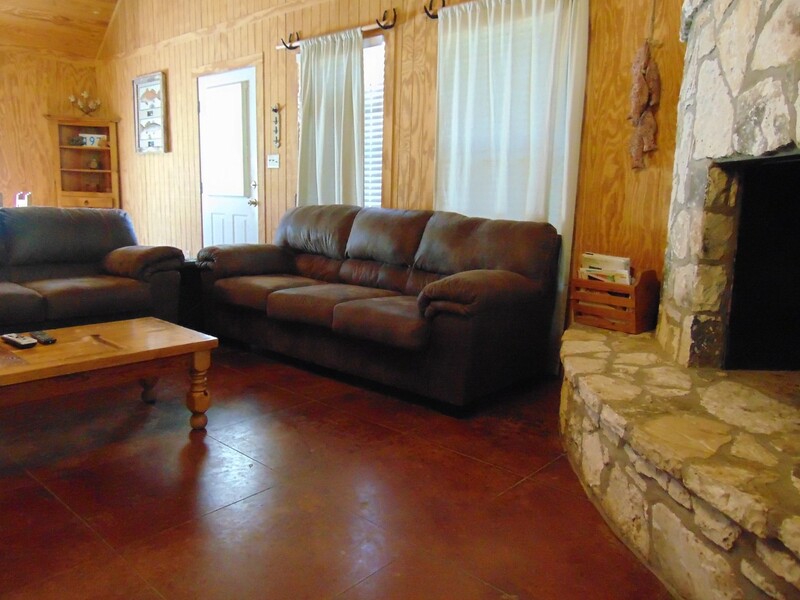 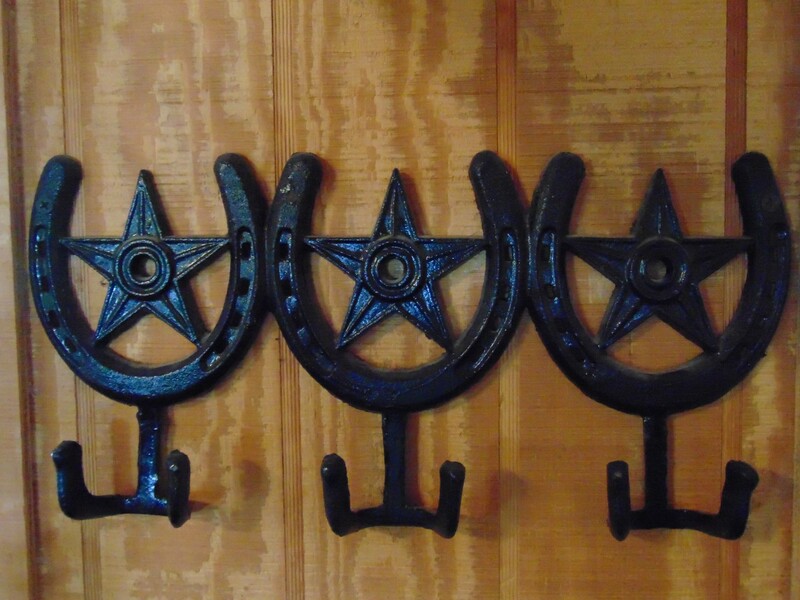 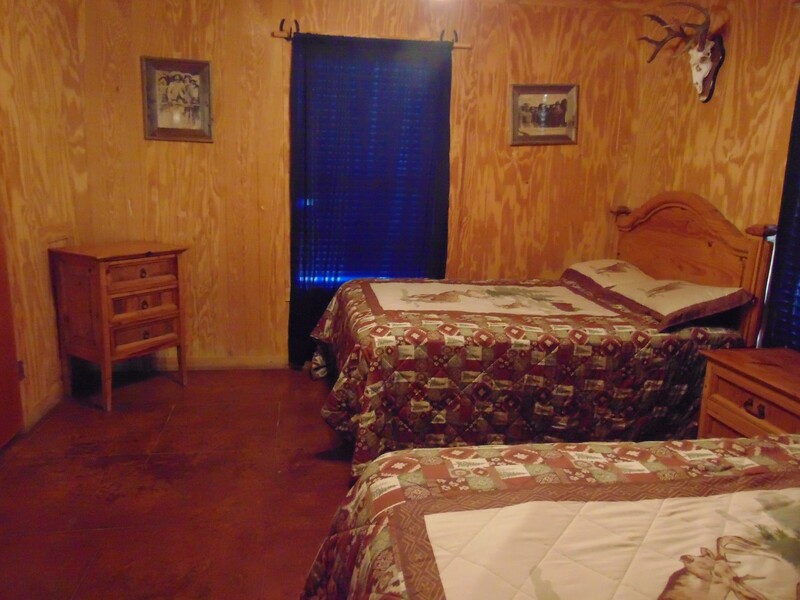 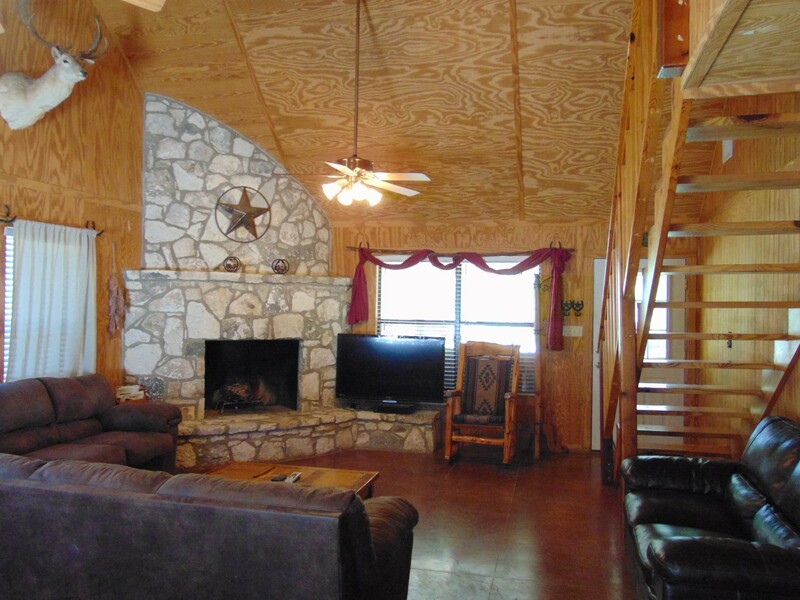 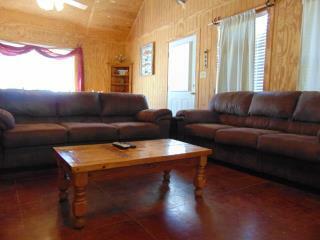 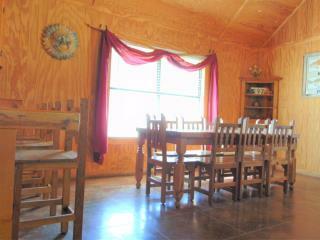 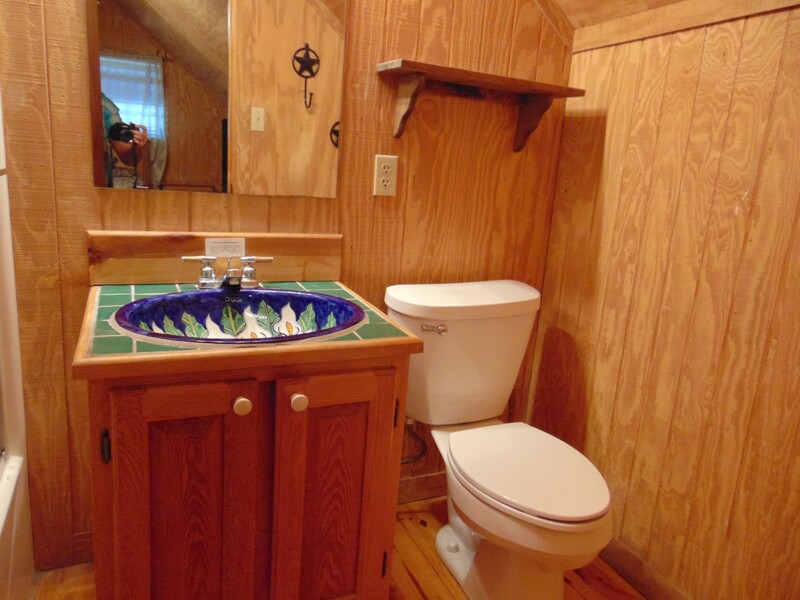 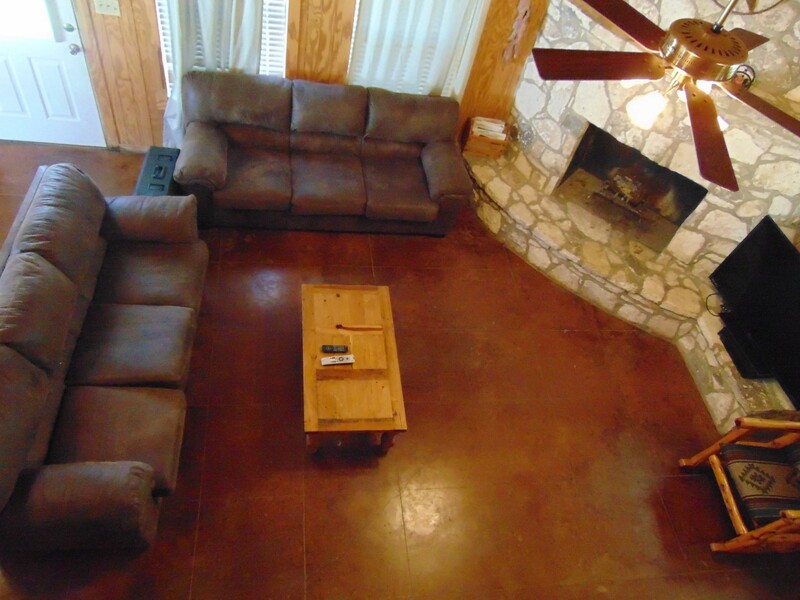 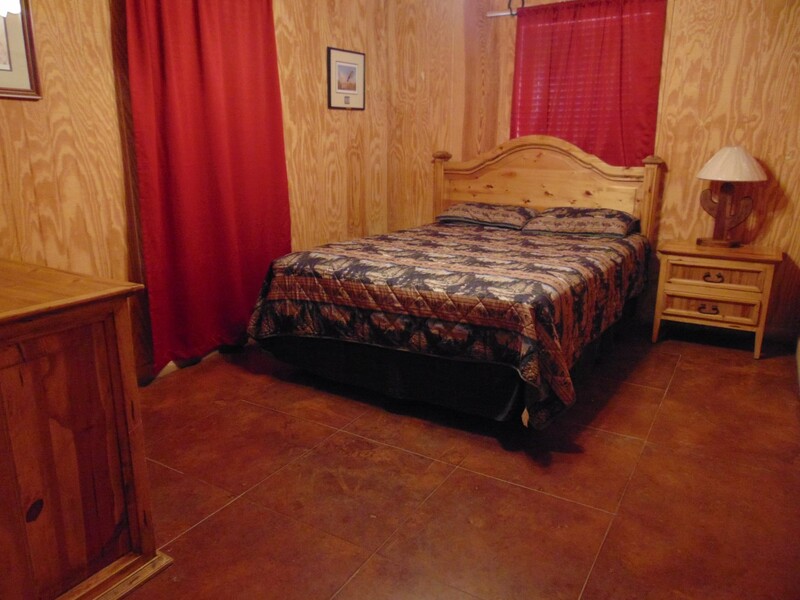 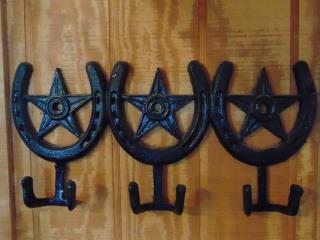 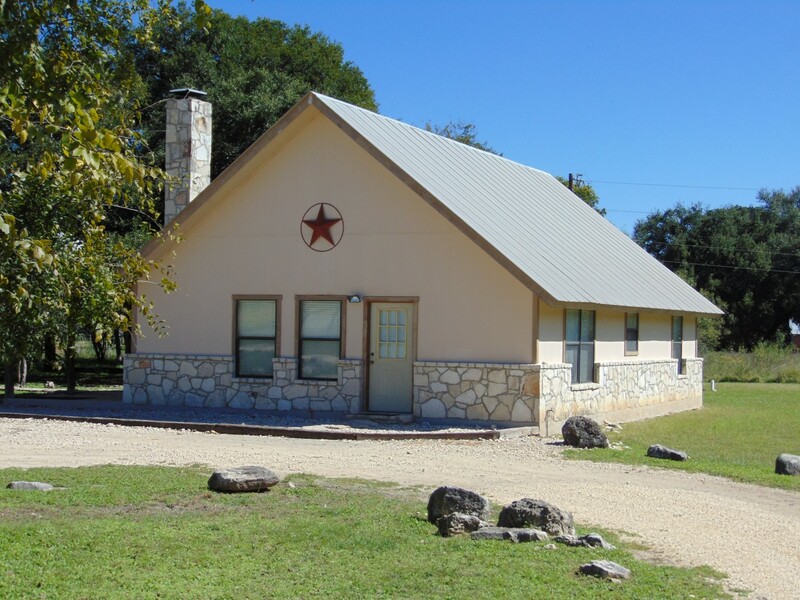 Pecan Acres is a two story rock cabin and all pine wood interior, with rustic Texas decor. 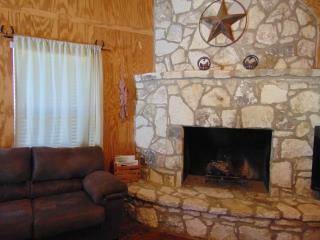 A semi-circular river rock fireplace it the focal point of the family room. The cute, well equipped modern kitchen has a bar and leads into the dining area. The 20’ vaulted ceilings are great for entertaining and the open cedar staircase at the top landing lets you watch all the action downstairs. 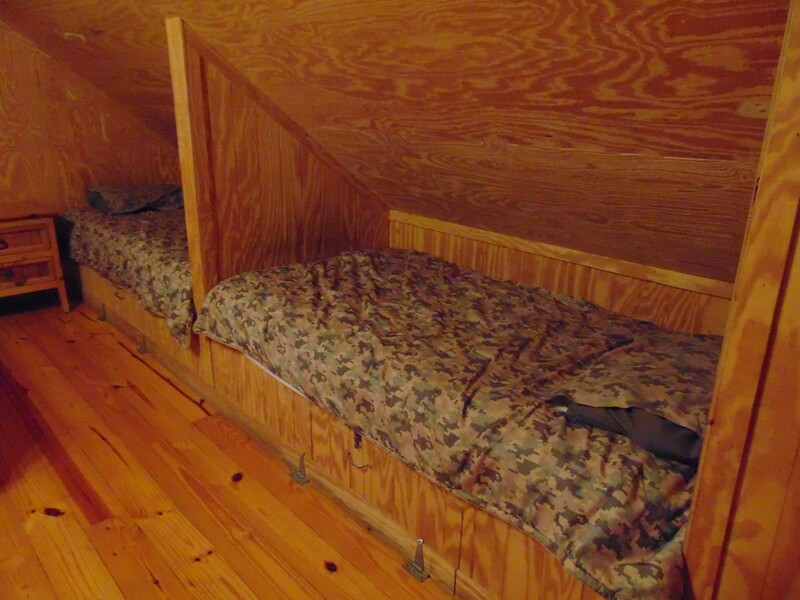 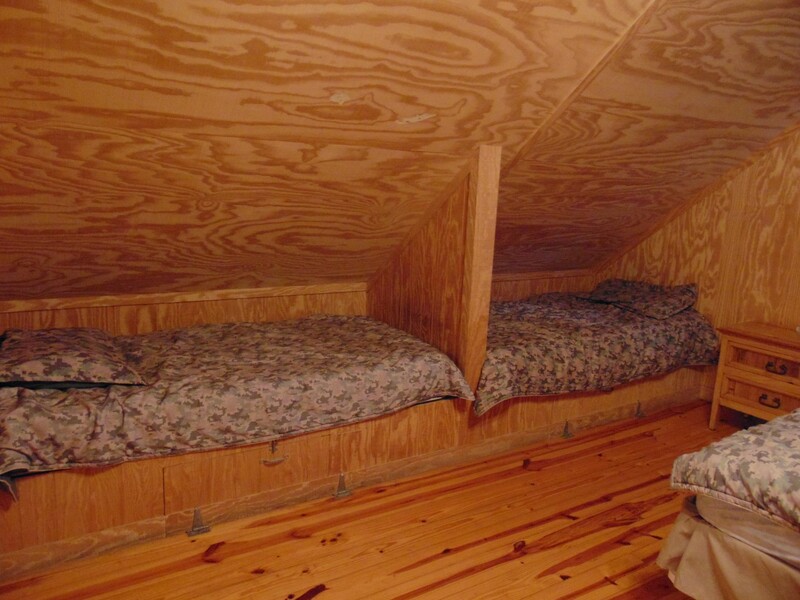 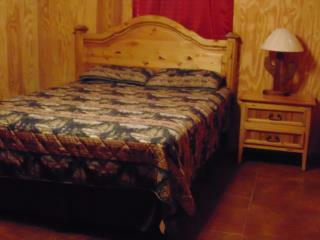 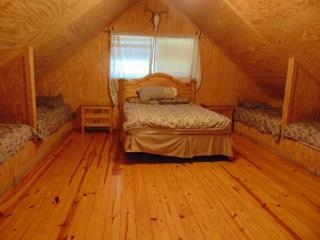 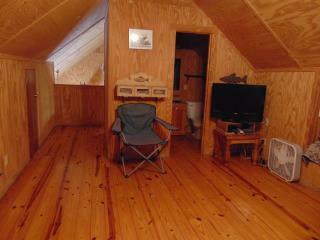 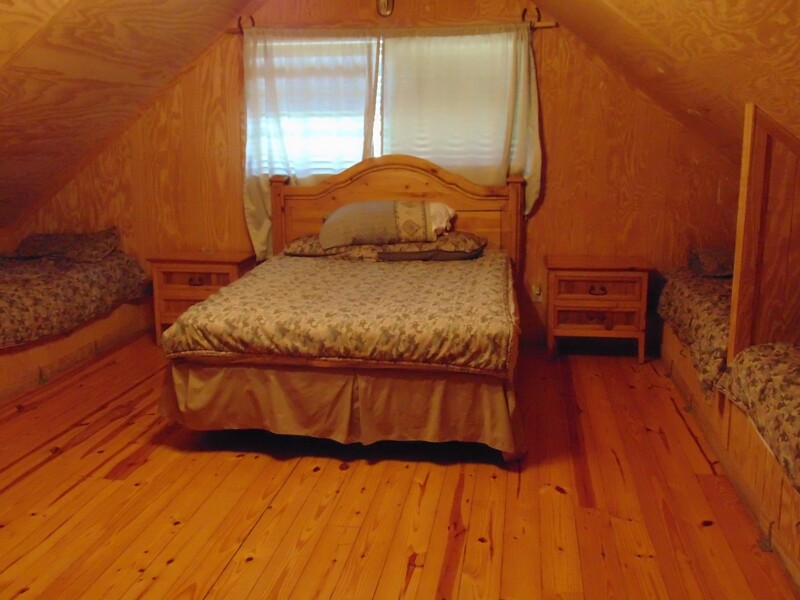 Upstairs are 2 built-in twin beds and queen bed in a supersized A-frame bedroom, with bathroom. Two bedrooms and baths downstairs make this home easy to relax. 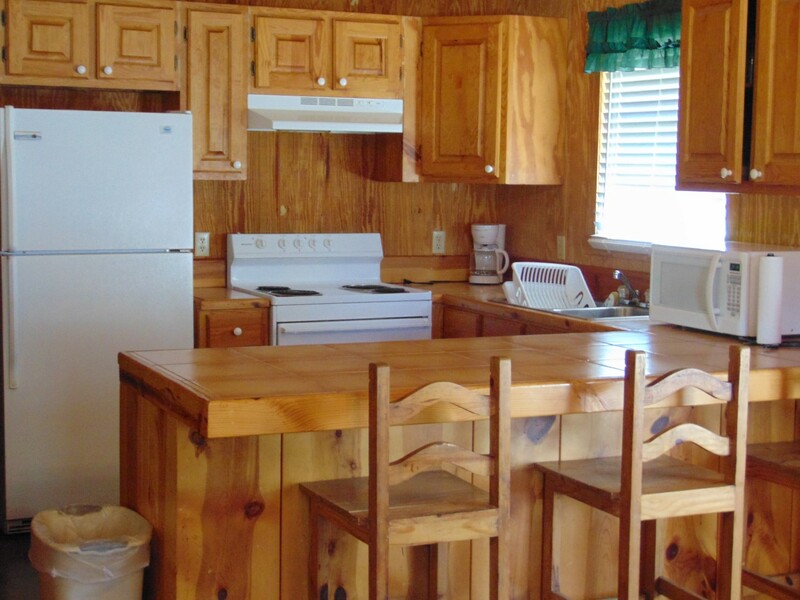 As great as the cabin is inside, the outside is where everyone will want to be. 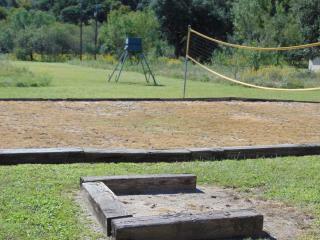 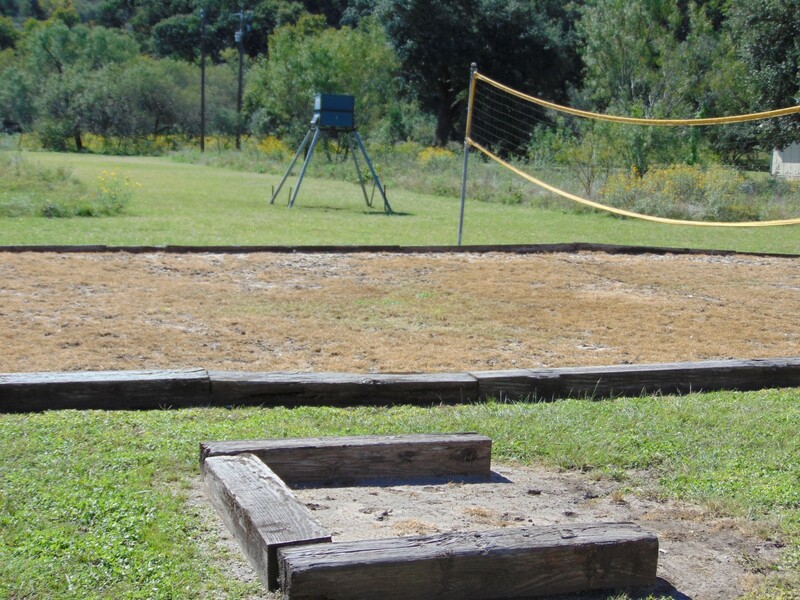 The volleyball court, horseshoe pit, washer toss, rock patio with barbeque and fire pit, with a relaxing covered patio. 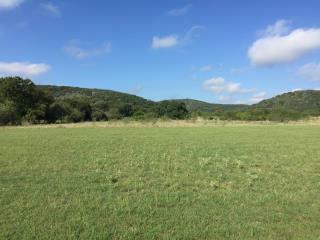 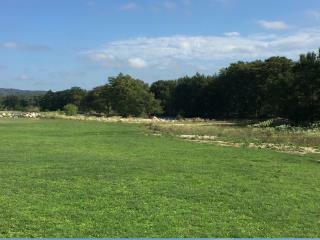 Big herds of deer feed on the property for everyone to watch. 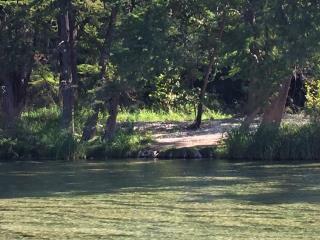 This little “island” neighborhood is great for tubing, but super safe for young kids to walk, bike and hike. 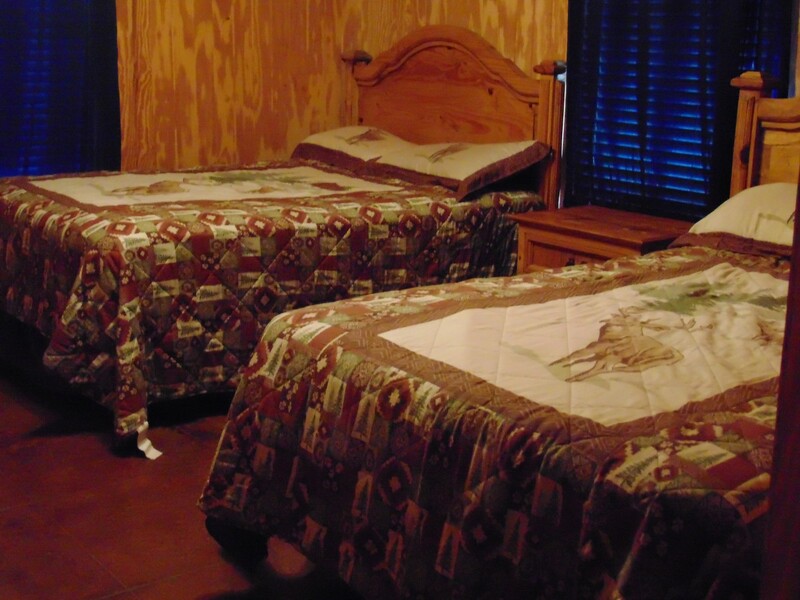 This is a very special place to make memories!